FREE E-Book – Start Small. Dream Big. The idea of wellness – both physical and mental – has been part of the debate about what contributes to good overall health for many years. The media world – TV, print and online – is saturated with commercials promoting physical wellness. But financial wellness? It’s largely ignored. An undeniable causal connection has been identified between financial wellness (the fact that an individual’s finances are on a sound footing) and improved productivity, reduced rates of absenteeism, and increased focus in the workplace. Translation: A financially healthy employee works harder, longer, and with enhanced concentration. The same principle, we believe, needs to be applied to the quality of life people lead in retirement. Personal serenity – the feeling of contentment and confidence all retirees crave – is founded on many considerations. But let’s not kid ourselves. Not having to struggle financially is one of them – a major one. Financial wellness is not a goal, it’s a planned process leading to a positive, sustainable outcome: peace-of-mind. 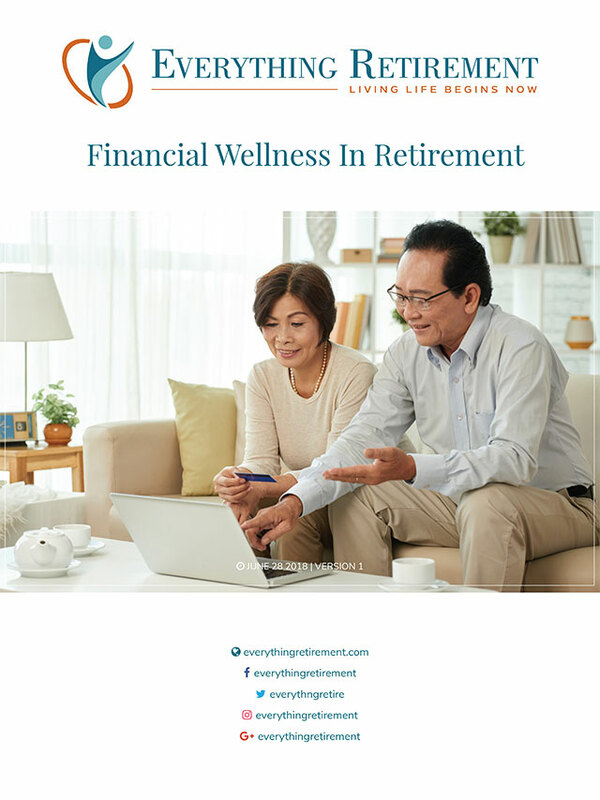 This e-book will help you understand what financial wellness is so you can develop a plan that you can follow, control and achieve it. You will learn to avoid some basic mistakes and take decisive actions with real impact – building a path to a healthier financial life and a more emotionally fulfilling retirement and with enhanced concentration. What’s Included in This FREE E-Book? Four Key Issues – And how to resolve them. Planning – The financial reality of retirement has changed. Saving – The psychology of saving. Spending – How to avoid outliving your money. Borrowing – Manage debt by not letting debt manage you. Simply provide us with your name and email address using the form on this page to unlock this FREE e‑book! Questions? Comments? Write to us – we'd love to hear from you! Enter your information to receive your FREE e-book. We will email you any time the e-book is updated. You can withdraw your consent at any time. Researched, resourced and written by experts, Everything Retirement is designed to get you where you want to go and enable you to become who you want to be. With clarity, insight and – above all – honesty, realism and actionable answers. Enter your information to receive our monthly newsletter. You can withdraw your consent at any time. Everything Retirement came together through a creative collaboration between Coastal Community Credit Union, Interior Savings Credit Union and FirstOntario Credit Union. We are passionate about creating stronger relationships with our members, clients and communities to improve their financial well-being and enrich people’s lives. 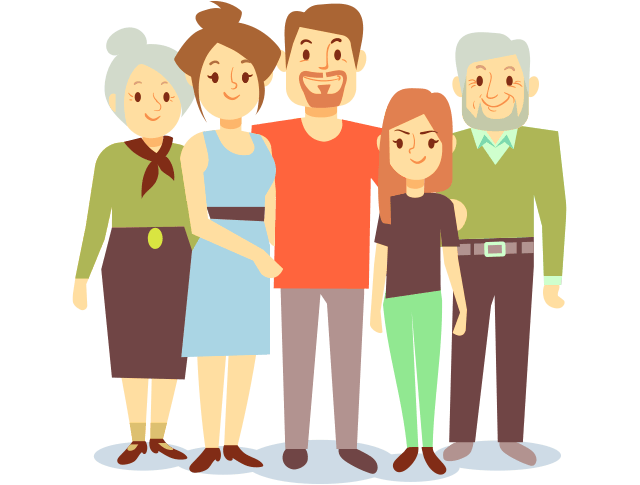 This website is designed to provide retirees and pre-retirees with the practical tools necessary to embark on a life of retirement with knowledge, insight and optimism. Retirement is one of the most important transitions in life – a transition with significant financial, psychological and physical moments. Both an opportunity and a challenge, retirement opens an engaging and inspiring world of possibility to those who enter it. Yet retirement, for many of us, can feel like a mysterious territory unsupported by a single credible map. Our mission is to be that map. Our goal is to be Canada’s most authoritative one-stop provider of information, insight and advice about the opportunities and challenges of retirement. Our goal is to provide retirees and pre-retirees with the tools necessary for them to live the fulfilled retired life they’ve earned. Our goal is to be honest about retirement. Retirement isn’t always easy, despite what some sources may have you believe. Everyone needs help in retirement, even you. ©2019 Everything Retirement. All Rights Reserved.